More than 200 artists have banded together under the banner of 3GI Industries, which hosts an annual Shrek-themed festival, to recreate every single scene from the 2001 classic in their own original styles. The hallucinatory combination of different animation techniques and live-action sequences, all of wildly different levels of effort and quality, comes off like a nostalgic fever dream—or maybe like if you turned a game of "exquisite corpse" into a movie. There's a Newgrounds-esque Flash animation of the fairy tale creatures squatting in Shrek's swamp. There are many, many dudes reenacting Shrek's lines while slathered in green paint and sporting fake antennae. At one point, Shrek and Donkey storm the dragon's castle as anime characters. It's all vaguely disturbing, if not severely so; and yet, at the same time, it's kind of amazing. Somehow, these people actually pulled off a half-animated, half-live action, homemade Shrek remake—and if nothing else, the feat alone is impressive as hell. 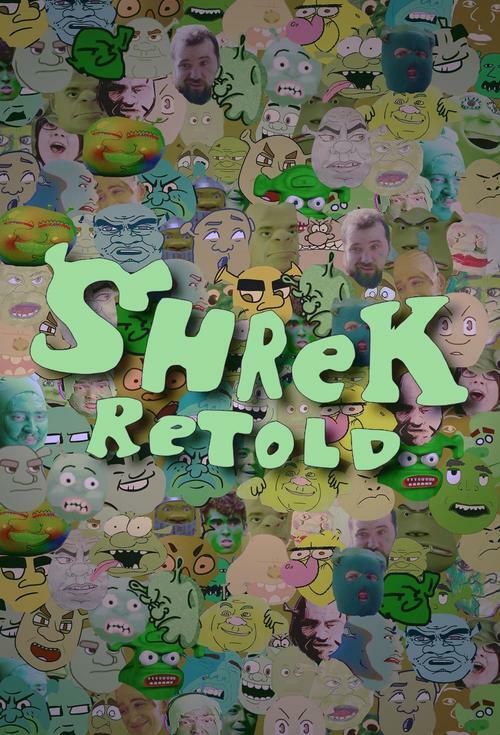 The whole thing is the brainchild of Grant Duffrin, an artist who founded Shrek Fest four years ago, and has spent the years since crowd sourcing talent for Shrek Retold. He told Quartz that there's not a speck of irony in his passion for Shrek, which he compared, for some reason, to ice cream. "Could you enjoy ice cream ironically?" he said. "Could you eat ice cream as a joke?" Duffrin also claimed that Shrek Retold has nothing to do with the uncanny memes spawned from the "Shrek is life, Shrek is love" version of the ogre. It's not about the memes, he said. It's about the fictional green swamp creature who inspired them. The screening will be hosted by none other than David Liebe Hart (of Adult Swim/Tim & Eric fame), who also appears in the film. The boldly unique actor, musician and puppeteer will introduce the film with a short performance and will be on hand for an informal meet and greet. THIS EVENT IS FIRST COME FIRST SERVE. And don't forget to catch David Liebe Hart / Treasure Mammal / Hi My Name Is Ryan at The Trunk Space on Tuesday March 26th! !